First up, this wonderfully delicious Pumpkin Pie Oatmeal that happens to taste just like - you guessed it - pumpkin pie. Top with some warm maple syrup & homemade candied pecans, and you're set. 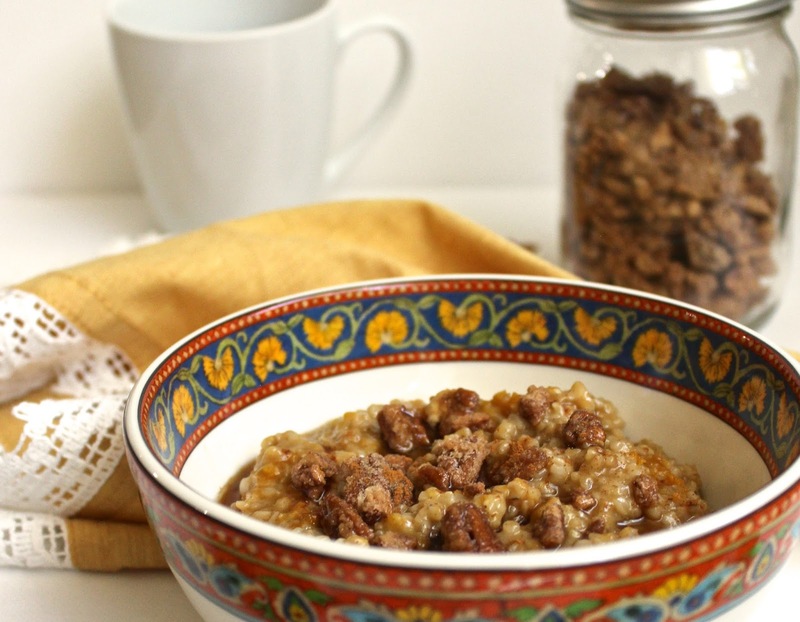 Watch the quick video above, or read on for more info on this oatmeal - reinvented! They're also really easy to make. Just bring 3 cups of water to a boil in a deep pot. Once boiling, add in 1 cup of steel cut oats, lower the heat, and stir. Continue to cook and occasionally stir the oats for about 15-20 minutes, until the water is absorbed and the oats are tender. Once the oats are ready, add 1/3 cup of milk, 1/3 cup of pure pumpkin, 1/4 cup of brown sugar, 1 tsp. of vanilla, & a few dashes of cinnamon to the pot. Stir it all together & serve it up! 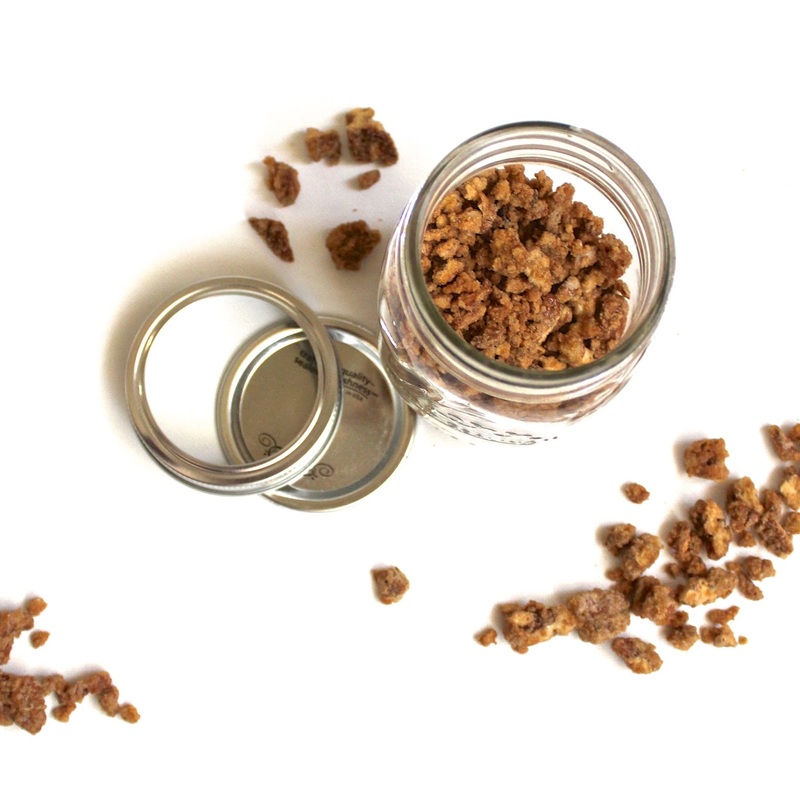 Don't forget to top it off with a drizzle of warm maple syrup & a sprinkle of candied pecans.